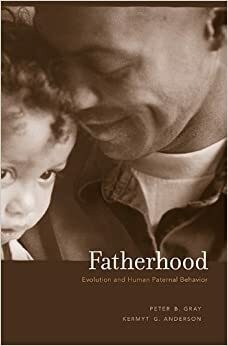 Peter B Gray is co-author, with Kermyt Anderson, of Fatherhood: Evolution and Human Paternal Behavior (2012). In this post from their Psychology Today blog, The Evolving Father, Gray takes a quick look at new findings on the involvement of fathers with their children. If you are a father of a 3 year old, how frequently have you read to your child the past four weeks? If you are the father of a 10 year old, how often have you taken your child to activities the past four weeks? If you delve into the results of a recent report issued by the Centers for Disease Control (CDC), you can find answers to eight of these kinds of questions from a nationally representative probability sample of over 10,00 men aged 15-44, about 4000 of whom were fathers. What are some highlights of the study? And what are some qualifiers and interpretations? One of the themes highlighted during the late-December 2013 media rush on this study was the high involvement of fathers. Most residential fathers who fell into the study engaged in most of the activities they were asked about. As an example, 93% of coresidential fathers with a child aged 5-18 years of age reported eating a meal at least several times a week or every day with their child during the past four weeks. As another example, some 84% of fathers reported reading at least once a week with a child less than five years of age. So much for slacker dads, these figures suggest. Besides residential status, study findings were presented with respect to fathers’ age, cultural background, relationship status (marriage vs. cohabitation) and education. These factors were also associated with variation in paternal involvement. Older fathers reported playing less and reading more than did younger fathers, for example. Nonresidential Hispanic or Latino fathers were less likely to have eaten meals with their child aged 5-18 the past four weeks than were African American or White fathers. With this bonanza of quantitative data on U.S. paternal involvement, what are some spins suitable to an “evolving father” blog? As some reports have noted, the data suggest some incremental increases in paternal involvement in the U.S. since the last comparable report in 2002. Other sources of data (e.g., time diaries) have shown increases in the time men spend with their kids, including some specific activities like cleaning or diapering them, in the past few decades. So by such measures it appears that U.S. dads are engaging in more direct care and interaction with their children. Some other key elements are not included in the data. Most importantly, there is no information on fathers’ economic contributions. In the U.S. and elsewhere, fathers continue to be scrutinized carefully for their ability to contribute to the financial and material support of a partner and children, making the lack of such data here a notable gap. While it can be refreshing to see the spotlight on fathers shift from a focus on breadwinning to lots of direct behavioral involvement, more complicated discussions about contemporary male work/family tradeoffs, female work/family tradeoffs, and a sexual division of labor within families need both pieces. The report also ignored any potential differences between step- and genetic fathers, combining both groups within the category of coresidential fathers. Given potential motivational and material differences between step- and genetic fathers, that also warranted a distinction, even if to show previously-documented findings such that coresidential stepfathers may me more involved in their stepkids’ lives than those same children’s nonresidential fathers. In summary, the data on American dads and their direct care are richer with this study, even if we can push those data into all kinds of other conversations (even a panel discussion at a local NPR affiliate).